Wales is celebrating the historic success of its national football team at Euro 2016 by offering free entry on Sunday 26 June to its historic castles and monuments. 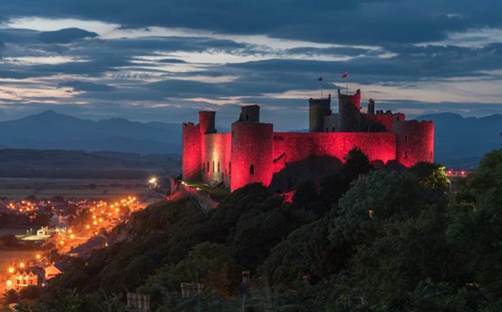 Having reached the last 16 in the 2016 UEFA European Championship at the top of its qualifying group, an epic achievement by all accounts for a small country of three million, people are now being given the opportunity to visit iconic Welsh landmarks such as Beaumaris Castle, Caenarforn Castle and Conwy Castle free of charge. 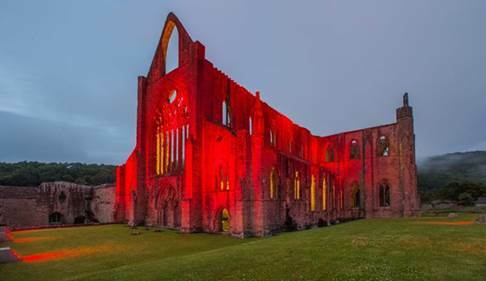 All of the castles will be illuminated red in support of the Welsh squad that includes world-renowned players such as Gareth Bale and Aaron Ramsey. An idea dreamt up by the Welsh Government earlier this month, during the group stages, has now become a reality following Monday night’s thrilling 3-0 victory against Russia. In what is Wales’ Year of Adventure, it is hoped as many people as possible will enjoy this offer and try out something new – or in this case, something old.